The phone is worth the price and has really good features compared to all the phones in the same range. The battery back up is amazing and the phone charges up fast as well. Thankfully never had any hanging issues and am satisfied with the speed and processor for this range. I sold my Samsung note 4 32GB for 11000 and bought Coolpad note 5 for same price. Though I was looking for gold edition but it was sold out immediately, so I went for space gray. The phone is great as I have been using Coolpad since it&apos;s launch in India. 3. front camera is not that great, pictures are grain sometimes. Auto Stabilisation is required. There are many time call break issue. 16 Pricebaba users have written their experience with Coolpad Note 5. If you own Coolpad Note 5, please do leave your feedback too. Lowest price of Coolpad Note 5 price in India starts at Rs. 8,599 Coolpad Note 5 is available on Flipkart at Rs. 8,599 and on Amazon at Rs. 8,888. Prices updated on 22nd April 2019. Coolpad launched it's new device Coolpad Note 5 in India on September 30th. The device was much hyped by the brand before it's official launch and was touted as the 'Beast'. The Chinese manufacturer has launched quite a few devices in the budget segment is said to do fair business in the market. Started with Coolpad Note 3, Coolpad has definitely come a long way in the industry. The design of the phone looks somewhat refreshed and moreover, the build quality looks very solid and promising for the price range. The phone has got a metal unibody and feels premium in hand. Coming to the display we have a 5.5-inch Full HD (1920x1080 pixels) display which gives it a pixel density of 401PPI. There isn't any sort of the protection over the display. Running inside the Coolpad Note 5 is Qualcomm's Snapdragon 617 Octa-Core processor that is clocked at 1.5GHz and combined with it is 4GB of RAM. On the software front, the phone comes with Android 6.0 Marshmallow out of the box with Coolpad's UI CoolUI running on top of it. Besides this, the device also sports a fingerprint sensor on the back for added security. Back of the Coolpad Note 5 sits a 13MP sensor for pictures and records video up to 1080p resolution. Whereas on the front lies an 8MP sensor for those selfie and video calling needs. Both, the rear and front of the device feature an LED Flash when taking shots in the low light area. And to store all the data you get an internal storage of 32GB with no option for expansion. Coolpad Note 5 is powered by the 4010mAh massive battery that is sealed inside the device. The battery life should be good considering the huge capacity. In terms of connectivity, the phone supports 4G LTE with VoLTE and has other basic connectivity options like WiFi, Bluetooth, GPS. Unfortunately, there is no NFC support for the device. 1. Is Coolpad Note 5 a good phone for gaming? Ans: Yes, the Coolpad Note 5 is a good option for gaming since it equips 4GB RAM and runs on an octa-core Snapdragon 617 processor clocked at 1.5GHz. Ans: Coolpad Note 5 comes with a support for microUSB 2.0. 3. Does Coolpad Note 5 support USB OTG? 4. 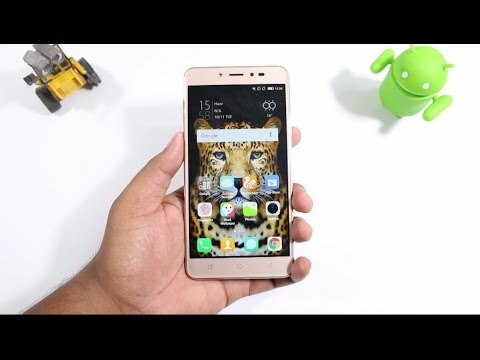 Does Coolpad Note 5 work with Reliance Jio network? Ans: Yes, since Coolpad Note 5 is compatible with 4G VoLTE, it works with Reliance Jio network. 5. Is the battery in Coolpad Note 5 removable? Ans: No, Coolpad Note 5 features a metal-unibody design, restricting direct access to phone's internals including the battery. 6. Does Coolpad Note 5 support 4K video recording? Ans: No, Coolpad Note 5 is capable of recording 1080p Full HD videos at 30fps (frames per second). 7. How is Coolpad Note 5 camera for selfies? Ans: Coolpad Note 5 features an 8-megapixel front shooter which not up to the mark when it comes to clicking selfies. 8. How much time does it take to charge the Coolpad Note 5 ?